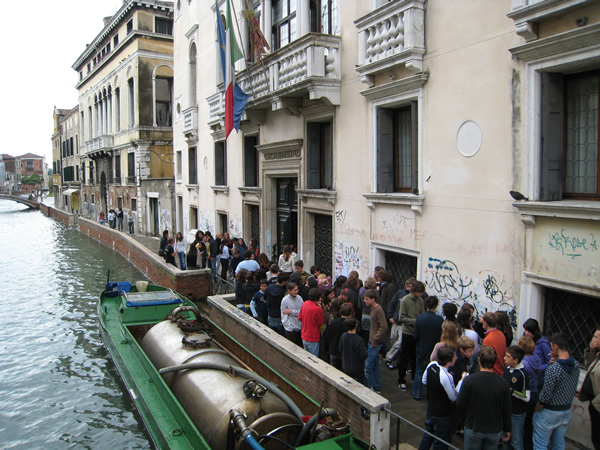 ^ Even in Venice, kids go to school, and furnaces must be refueled. 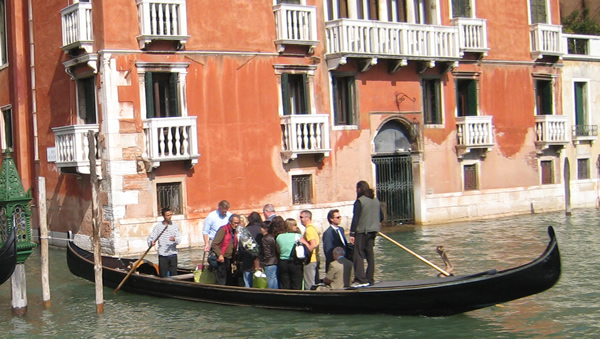 ^ How real Venetians ride in gondolas – none of your touristy lolling about on plush sofas! 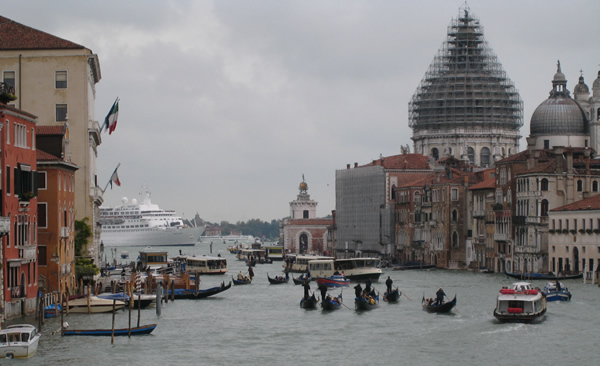 ^ The modern world is out of proportion to Venice (look closely). 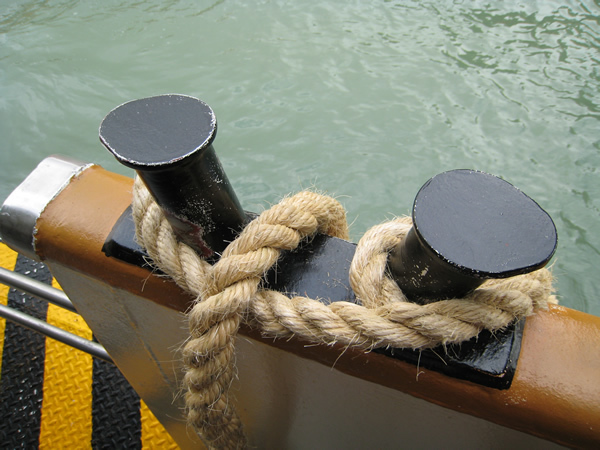 This entry was posted in Italy travel and tagged Italy travel, Venice on September 28, 2007 by Deirdre Straughan.